My sister, my friend E and cousin C will love this camera which is in their fave colour. 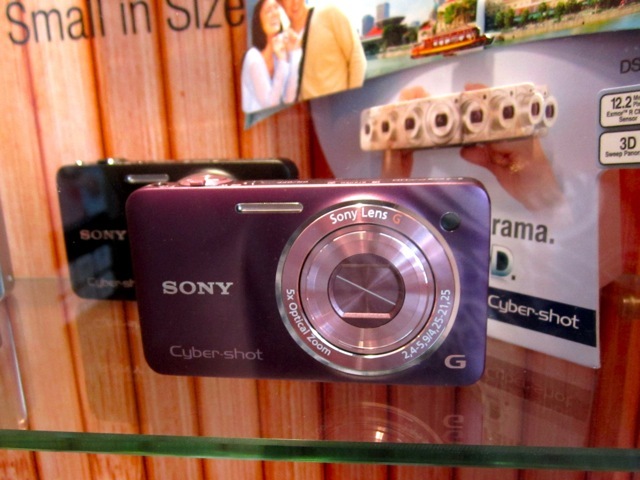 It’s not my favourite colour, but I do think this shade of purple on the Sony Cybershot G, is very pretty. Lavender is quite soothing to the eyes. This entry was posted in Singapore Living and tagged cameras, digital compact camera, Feminine, Lavender, pretty, purple, shopping, Singapore, Sony Camera. Bookmark the permalink.